Product prices and availability are accurate as of 2019-04-23 03:09:33 UTC and are subject to change. Any price and availability information displayed on http://www.amazon.com/ at the time of purchase will apply to the purchase of this product. ?The military backpack is made of water proof 900D oxford material. 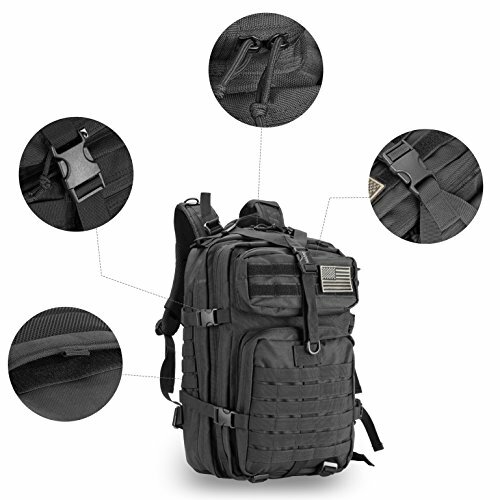 ?Tactical backpack has multi-compartment and zippered closure pockets including interior zip pocket and mesh pocket. ?Tactical assault pack shoulder strap, chest strap and the waist strap are adjustable. 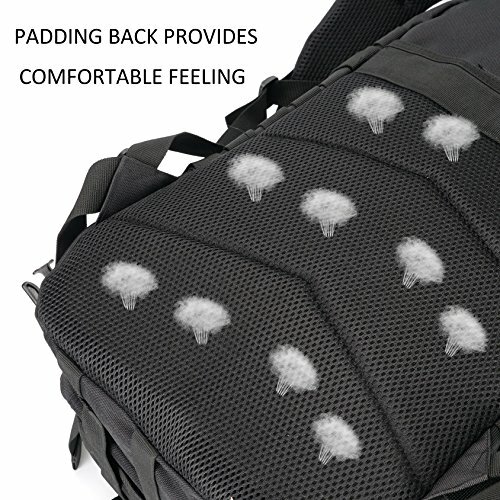 ?Ventilated mesh padded back area & shoulder strap,breathable and comfortable. 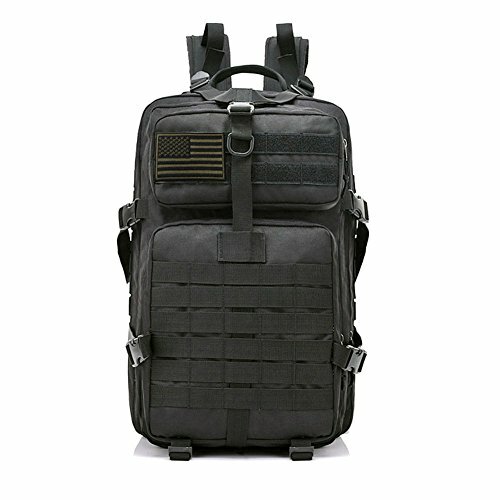 ?Military molle backpack has superior molle system you can load pockets, water bottle bag, accessory kits and other. ?It has side and front load compression system. 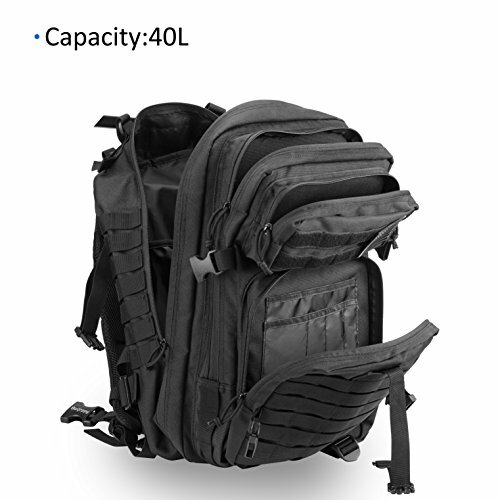 ?Military tactical backpack capacity approx 40L, Size approx. :19.6*11*11.4 inch / 50*28*29CM.two spacious compartments features small pouches and there are two front pockets can hold smaller accessories. 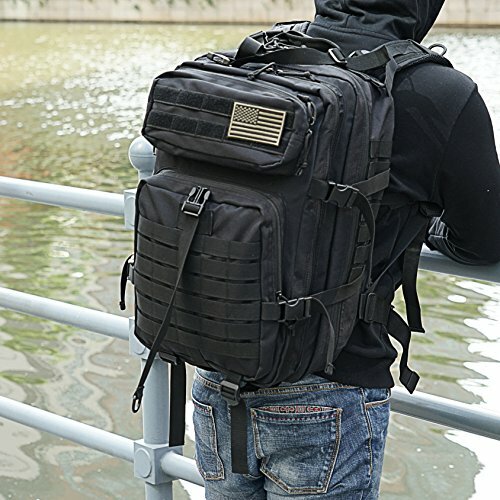 ?Tactical assault backpack is made of water resistant and tear resistant 900D oxford and nylon, besides, it's with double-stitched, heavy duty ?Military backpack padded shoulder straps and breathable mesh back area offer cushioning comfort, while also promoting air circulation along your back and shoulders. Besides, adjustable shoulder strap, chest belt and hip belt for heaving loading. ?Molle tactical backpack has molle external expansion system designed to be used in combination with other equipment, plenty of mount points on outside backpack for add on pouches, accessory kits and other. 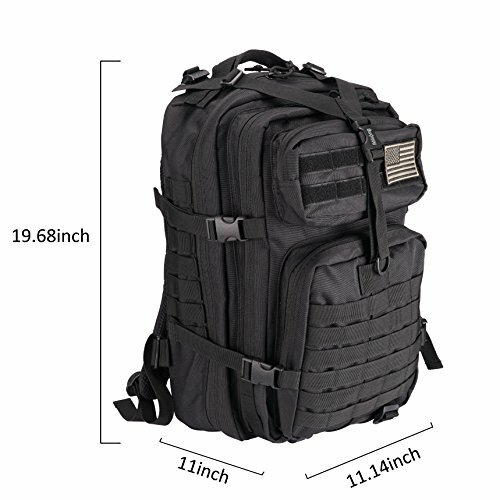 ?Tactical assault pack can be used as combat backpack, range bag, hunting backpack, survival backpack, army backpack or trekking backpack or day pack for daily use.